You know what a really crappy week needs? How about some happy pick me up music? You know who does happy pick me up music best? Well, that would be B1A4. (I almost feel like there should be a dur in there…) You know what would not only turn this week around but would elevate it into exceptional? 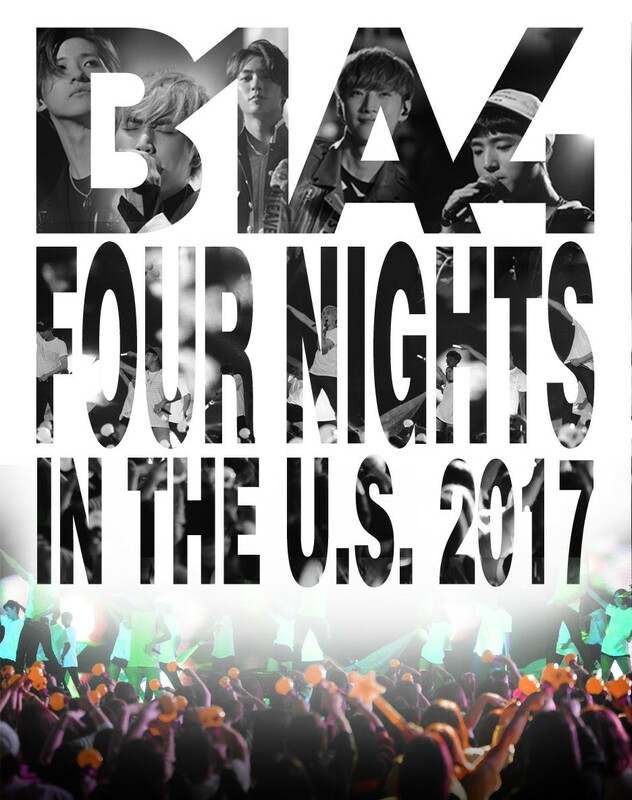 The news that B1A4 is headed for the US for a second tour! If this is the case, brace yourself, your week is about to be B1A4-tified! I had so much fun at their concert when they came here a couple of years ago. Can I also say I can’t believe it’s been a couple of years already since having been to see them perform? What have they been up to? I know Sandeul just came out with his solo album, Baro is pretty settled as an actor, Jinyoung was just in the hit Moonlight Drawn By Clouds, but what about CNU? And Gongchan? I wonder what they do to fill their days while the others are off? Anyway, I told myself no more concerts until I get to LA! But I’m pretty sure we all know this vow was going to be broken again and again, right? In all reality, I could be the responsible adult and say no to them. I could hold off and realize that there is a very good chance BTS is coming in the new year. What say I hold onto that money until a band comes who I listen to and obsess over on a daily basis? Do me and my friends have B1A4 gif wars? Uhuh. Do me and my friends fanatically read B1A4 fanfiction? Nope. The answer should be obvious, right? Not so fast. While I don’t listen to B1A4 every day, while I really didn’t like their last release at all, while nary a member makes my heart go thumpity thump, while I might not actually think of them much at all? B1A4 is adorable. B1A4 makes my heart happy. I might not listen to them every day, but I listen to them more than a lot of my other music, I listen to them whenever I’m feeling down and just want to be happy. So I’m going to dip my hand into my meager LA saving fund and I’m going to hand it over to these guys, I’m going to dig out the sprout headband, I’m going to blow up the air mattress for whatever kpop refugee lands on my doorstep and I’m going to have the crap cheered out of me. Because that’s how you roll with B1A4. There isn’t a date on when tickets will go on sale or info on how much they will be, but if NY is any example, they are going to be in a smaller venue than they were last time with primarily floor seats, so I’m guessing it’s going to go for about the same price as CL tickets ($89). I’ll update you as I have more information. Guk Joo Joins We Got Married?